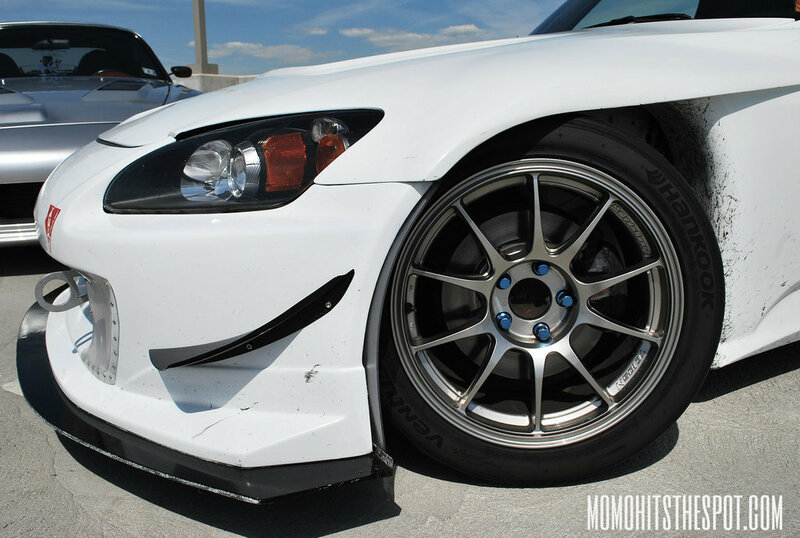 Formed & Track Oriented – MoMoHitsTheSpot! 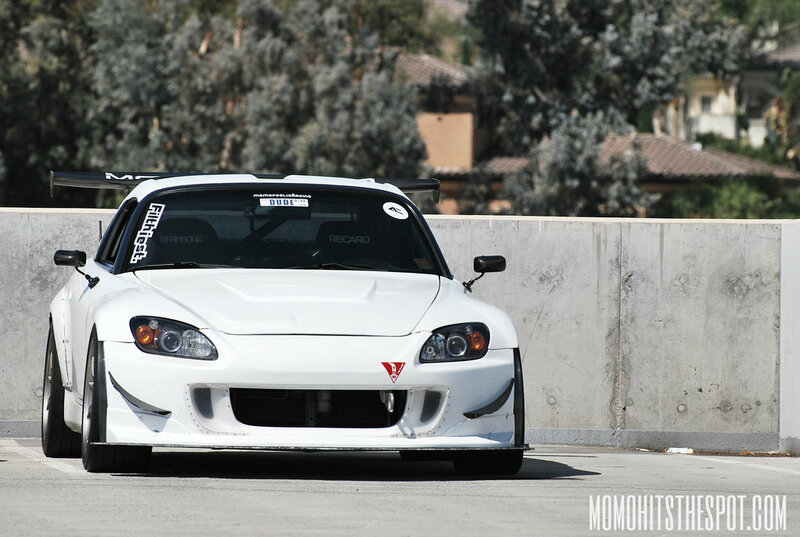 It’s definitely been a long time since I’ve shot an exclusive feature, so I thought it would be a good time to do one when I went down to SoCal last week. 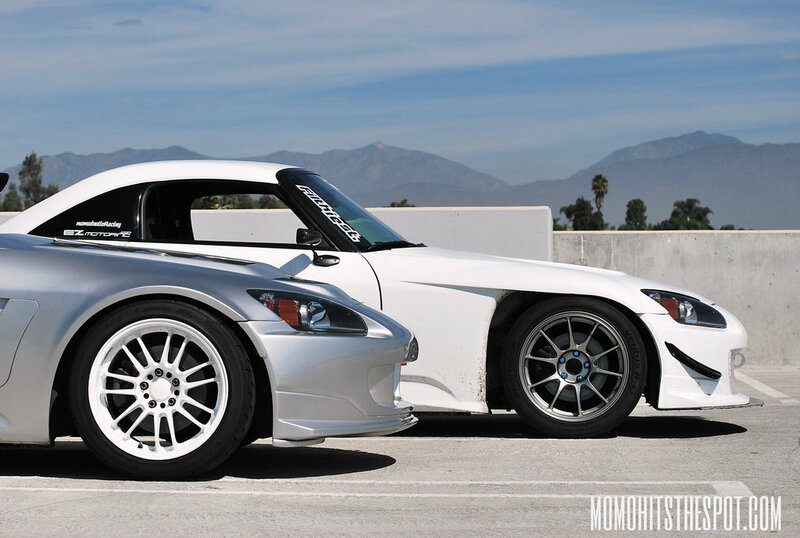 Therefore, I decided to hit up a couple of my S2000 buddies, John and Lee, who were kind enough to take time out their busy lives and do a quick shoot with me. 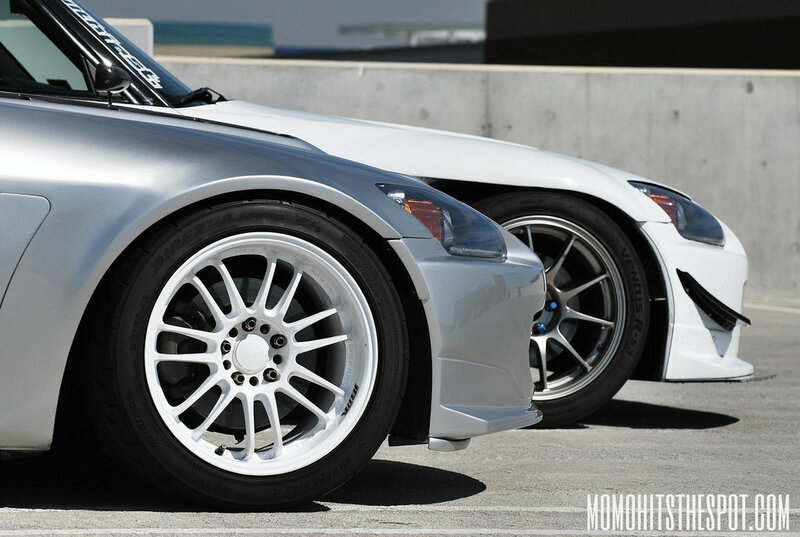 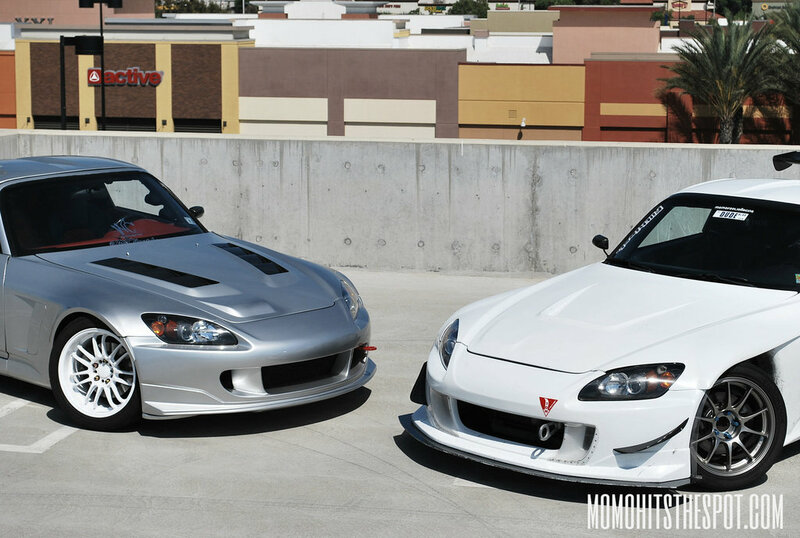 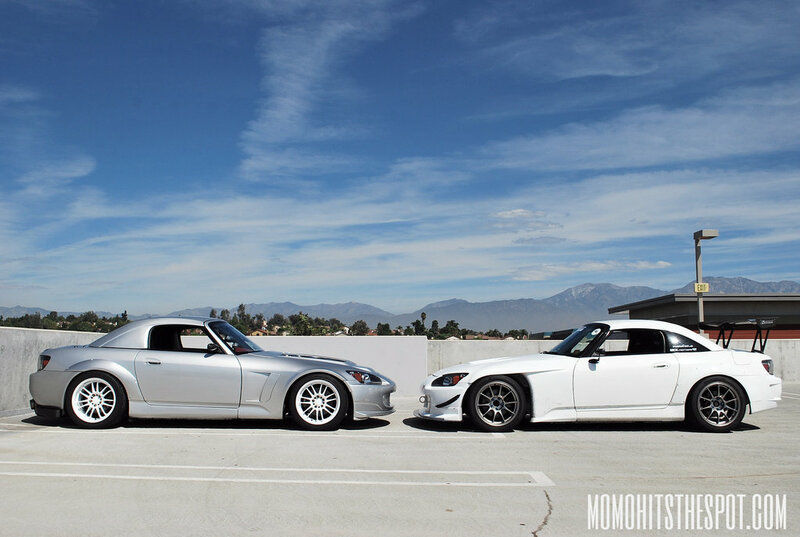 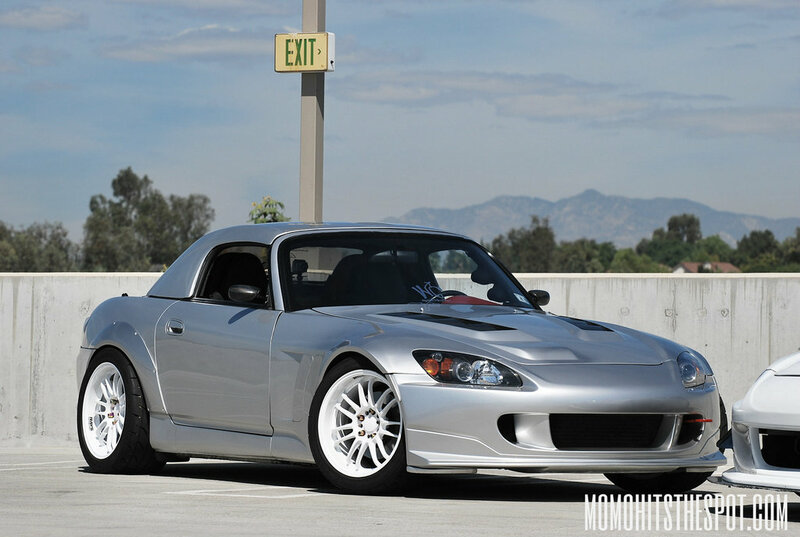 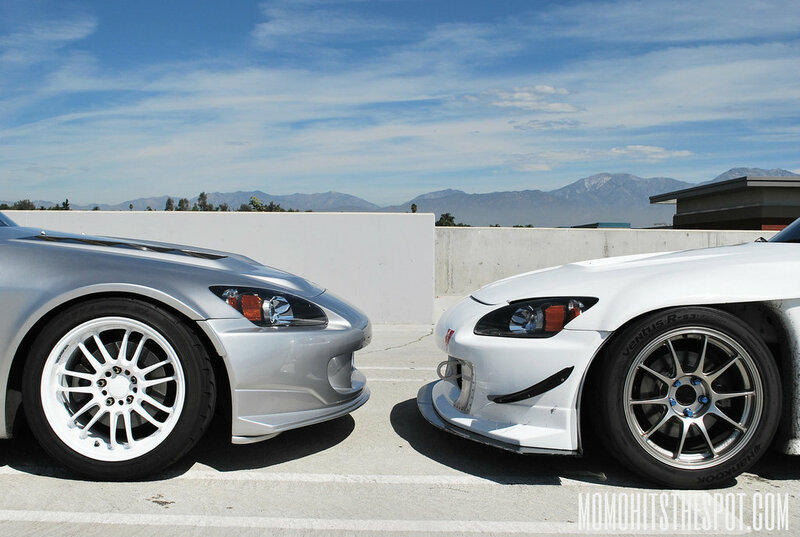 When you take a close look at these two S2000s, you’d get the idea that they’re not just for street driving and car shows, and you’d be right. 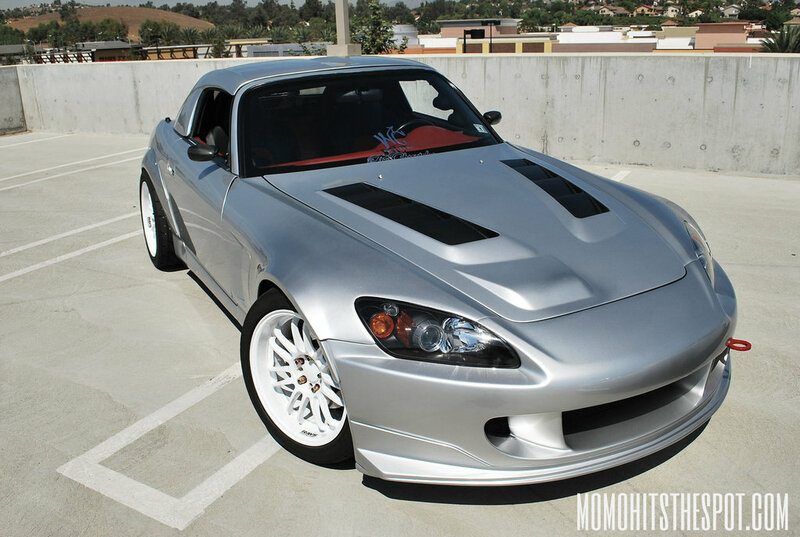 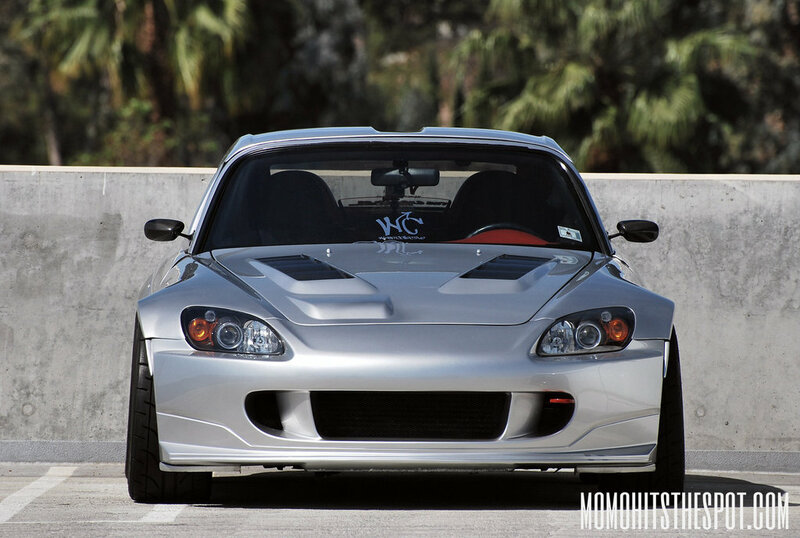 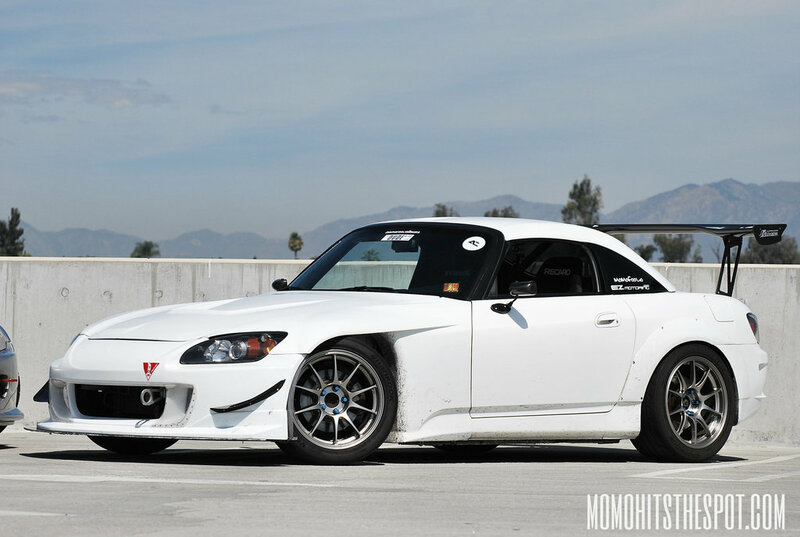 First, there’s John’s GPW S2000, which is solely focused on setting fast track times, therefore it’s equipped with mostly aerodynamic pieces. 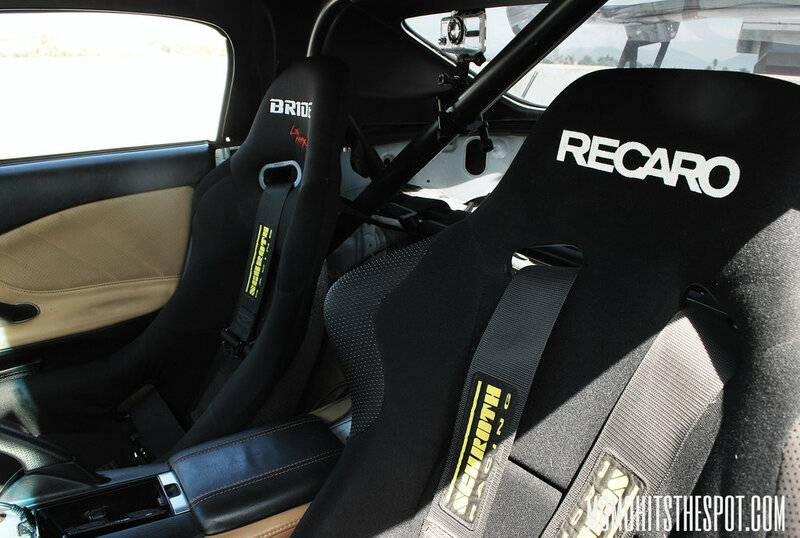 Some of the most notable parts on this car includes a set of non-staggered WedsSport TC105N wrapped in sticky Hankook RS3 rubbers, Recaro and Bride buckets, and also a gigantic J’s Racing wing out back. 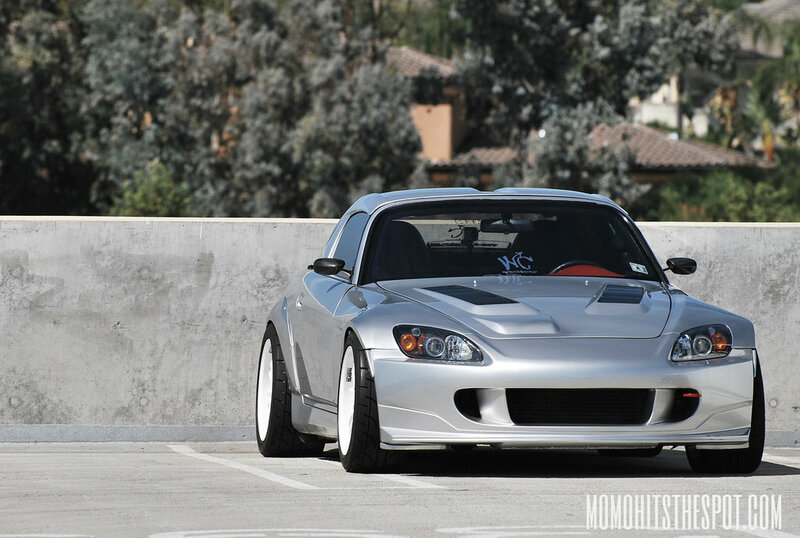 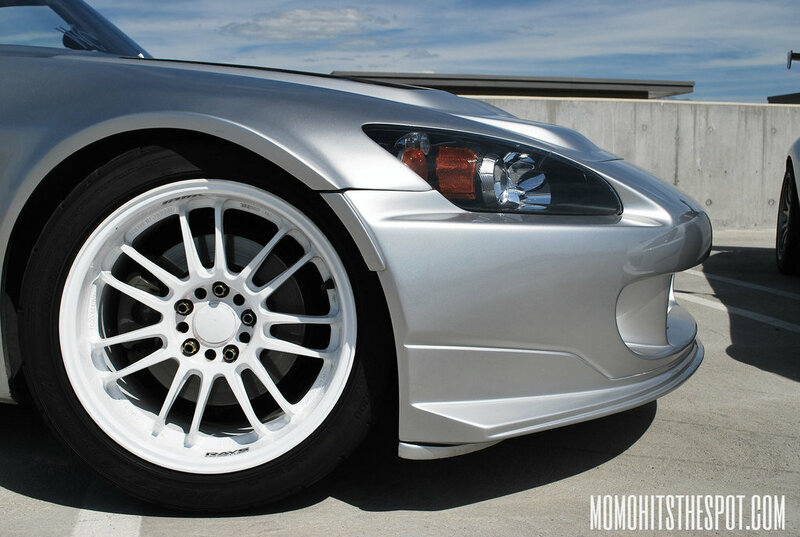 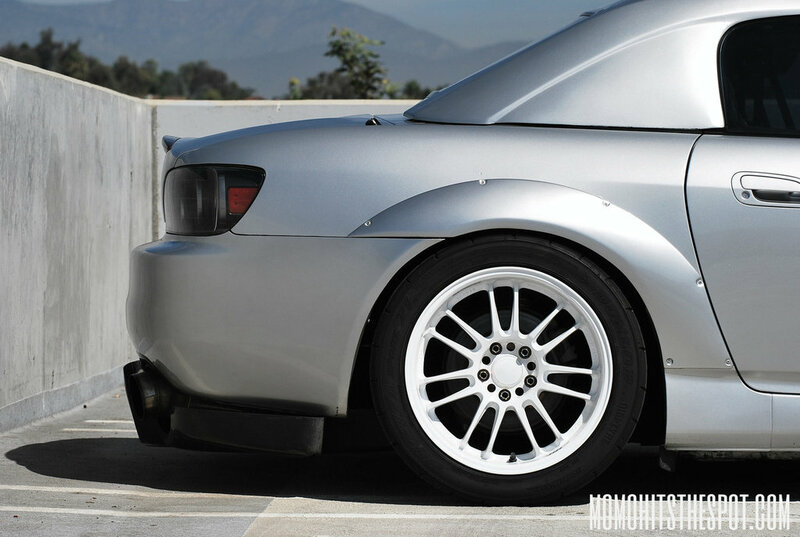 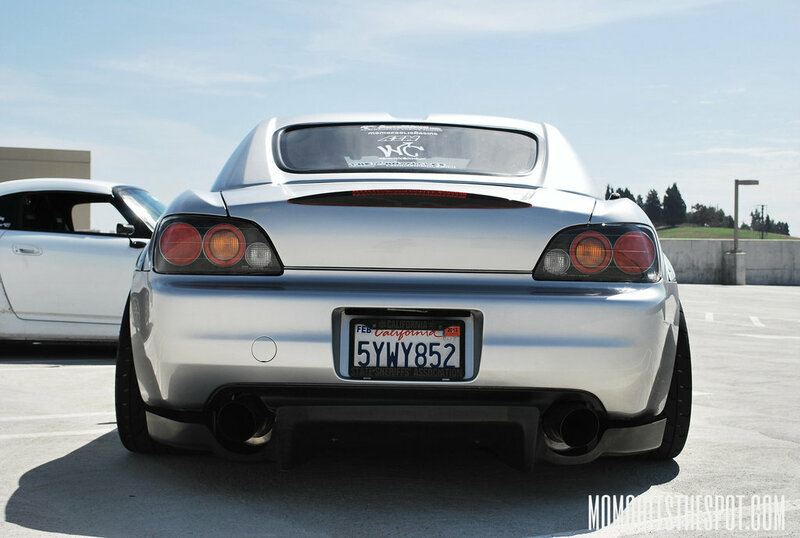 Then, there’s Lee’s super clean and boosted Sebring. 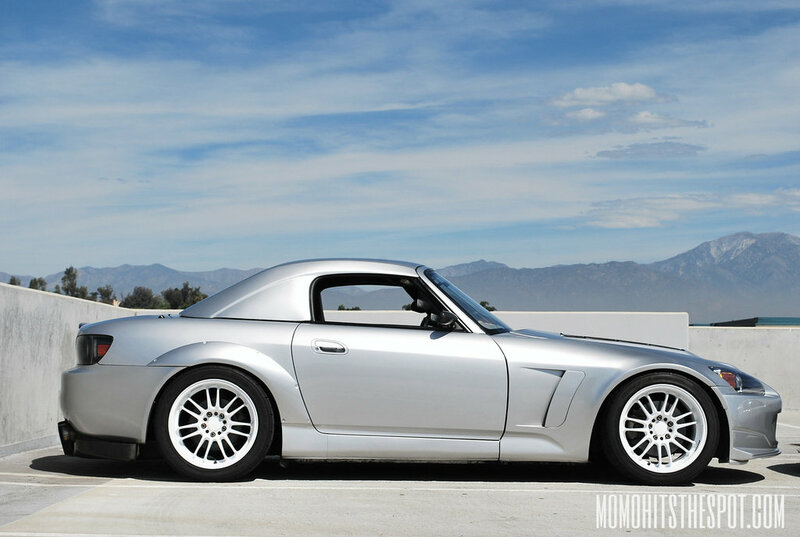 This silver bullet has a parts list longer than your college exams, that boasts a price tag higher than a college tuition. 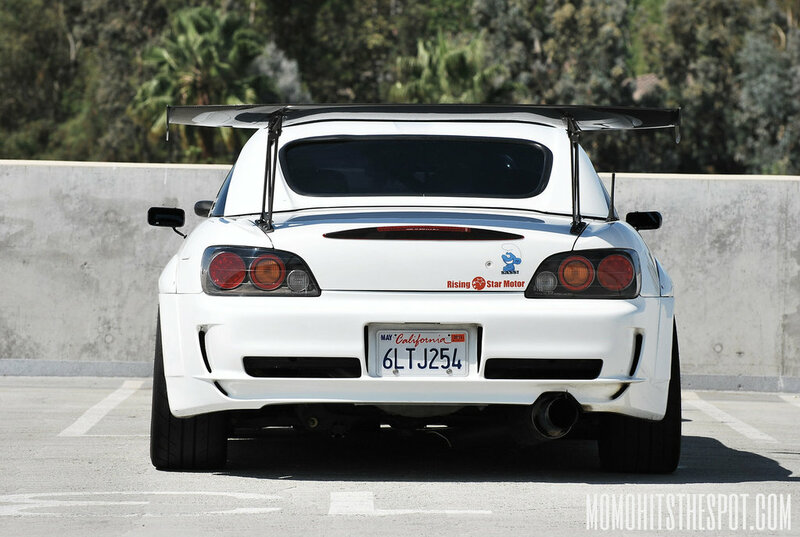 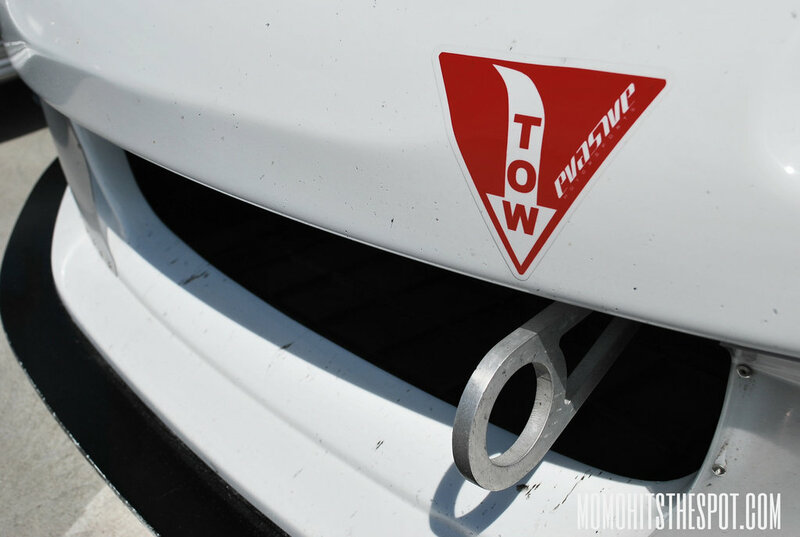 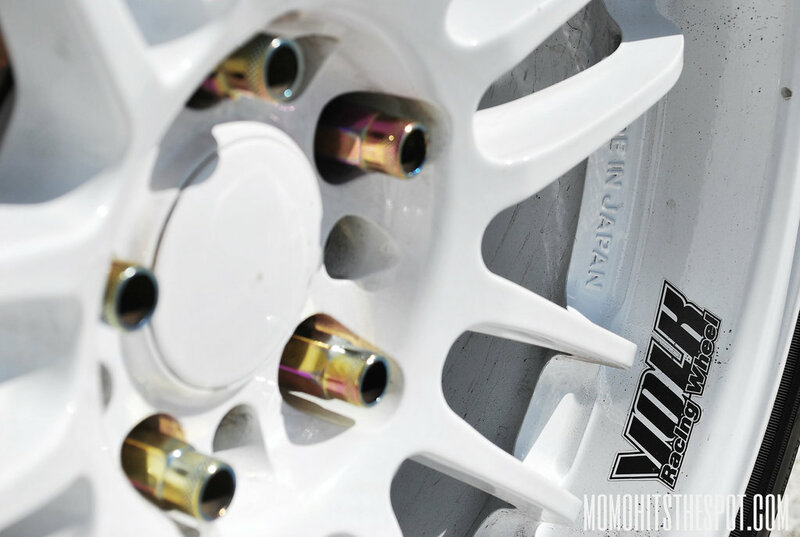 The long list of parts includes many authentic JDM goodies, such as those aggressive RE30s, numerous Powerhouse Amuse aero pieces, and countless other parts you see around the car. 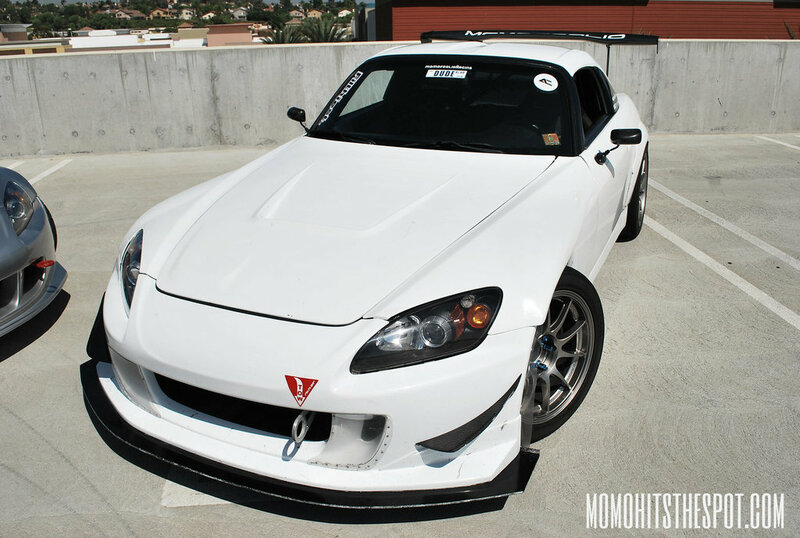 Although, this car have not seen any track time as of yet, I was told that would change soon when the car gets completely dialed in. 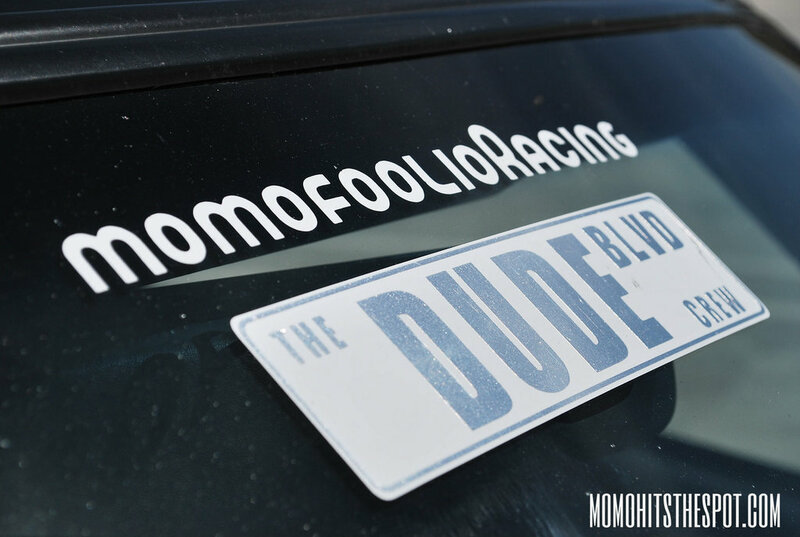 I want to close out this post by giving a big shout-out to both Lee and John for making this feature possible and also a big thanks to the fans and everybody else following this blog, I really appreciate the support! 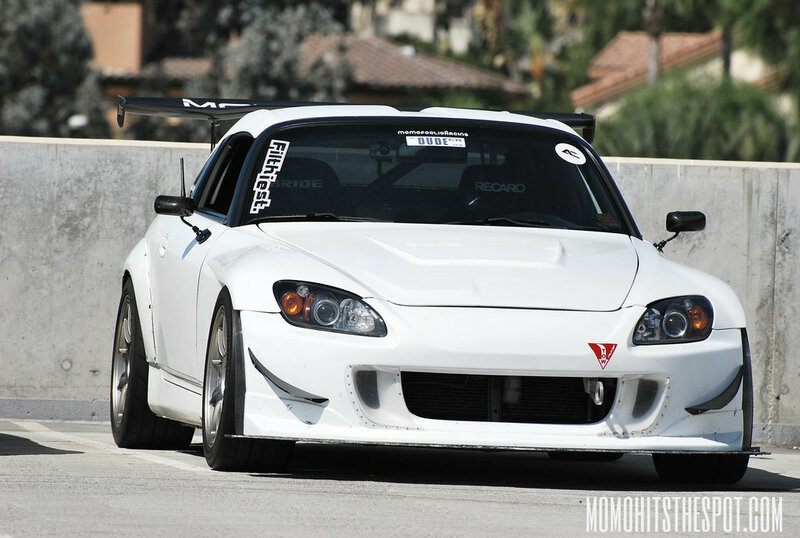 Here’s the rest of the photos!